Click on the VIDEO icon below to watch this now. We’ve been guided for thousands of years to live a way of life that is simultaneously so simple and so deeply challenging for most people. Earth School is one TOUGH learning center. It takes us through a life we design filled with massive core challenges because we believe we CAN become all we are here . There is only ONE way to graduate Earth School. The realm of life after our earthly graduation is pure bliss.There is no negativity. There is no danger or stealing. There are no storms, there is only blissful love surrounded by breathtaking beauty. You have right on this page the live seminar Barbara brought through from God, via Higher Self Communication, Higher Consciousness – that gives you the answers to get you from Earth to the next level up – which is paradise. The video is a gift from Barbara to you. Below you can add a “Comment”, start a discussion, ask questions, meet new people, or interact with friends you have known. Click here to watch this video now. Facing the Truth – Exclusive Excerpt Dear God How Do I Get Over a Former Lover I Still Love? The key to living this way is to first eliminate those tasks, adult people, obligations and associations that you are not deeply enjoying. Second, it is imperative that you take some time out of your schedule and really ask yourself what has been some of the most difficult periods of your life? You may wonder what this has to do with living a life with passion, so I will share this with you, now. Living a life with deep passion means living a life with deep meaning. It may very well be those precise areas of your life where you have endured great hardship, and became determined to turn it around, that you find you can share the same with others. Then you are a beacon of hope. First for yourself, and for others by way of your example. You will share from your heart just to make a difference, because it feels good, and not for any ulterior motive or reason. You will feel validated from within because you will be living from your heart, rather than the fears in your head. This requires courage, and many times it is not easy. If I were to tell you it is easy all of the time, I would be lying to you. It is scary to move into unfamiliar territory, but it is even scarier to wither away and watch your lifetime slide by without ever taking a pure and positive risk. Furthermore, you do not ever need another person’s permission, stamp of approval, understanding, or validation to be and express who you are. The only person’s stamp of approval you need is your own. When you begin to worry about what others think, immediately turn your attention to how you feel, and what you prefer. Then, follow through in your actions one moment at a time. So many people worry about how it’s all going to turn out, at leas I used to. But what I have found to be so empowering is to follow through in the moment because it feels true and good to me, and I know my motives are pure. They are not attached to an outcome. It is the process of living out what you love from your heart, because that aspect of you carries deep meaning to you, that it will naturally touch the lives of others who need what you are sharing. Perhaps they need a role model who has “been there” and who can relate. Perhaps you will attract other people with whom you collaborate and work together to spread the word about what you are sharing with the world. There is one thing that passion can never be; it can never be bought. It’s something you feel in your heart, and you feel a great deal of joy during your process. Does this mean you’ll never have a difficult or sad day? No, it means that when you do, you know it will pass, and you have a great deal of purpose and meaning backing you, which adds to the joy you experience in your day to day life. Here are some suggested guidelines that you can follow. Only follow through with what feels true to you, as long as it does not bring harm to anyone or anything. Make sure your motive is pure, without being tied to an agenda or an outcome. Be certain that what you are sharing truly matters to you in your heart. Keep putting it out there on a consistent basis because people will resonate with and relate to what you are sharing. Honor what makes you unique, every part of you, and cease all negative criticism. Seek out a trusting and supportive support system of people who are on a similar path and who share a lot in common with what you believe. Dare to take a risk every time you want to create or express something, do it. Never take insults into your being and allow them to hurt you. They are the perceptions of others, and other people are entitled to their beliefs and preferences. At the same time, continue with what you are doing. Make your passion your “from-the-heart-mission” in life, and allow it to bloom, expand and unfold one moment at a time. Instead of worrying about how it’s all going to turn out, live it out in the moment. Remember you are here to live, not stagnate. You are here to share the best of times and the worst of times, knowing that they all contribute greatly to your growth, and your mission. Remember that many people who create enormous contributions in our world have experienced great adversity. That adversity strengthens us, and it teaches us a lot. What have you learned from the adversity you have experienced? Start right where you are, now, this moment, and express what inspires you. Then, follow through just one moment at a time. That is really all it takes. But, it takes your deepest heart and the meaning behind what you are doing, expressing and creating that carries the most weight to living a life passionately. If you don’t feel passionate about it, toss it. If you feel inspired, go for it. When you feel scared, just know that everyone feels scared moving out of their comfort zone. Make that a positive sign of your personal growth. Most of all live it all out from your heart, because it brings joy to your heart. That is what matters most, and that is the only way you can live a life with passion. Just start, now. You have a clean slate ahead of you. 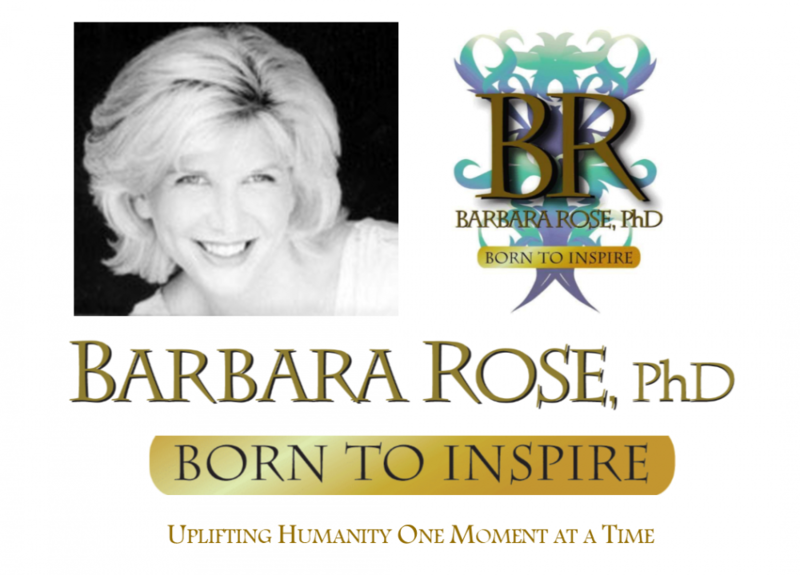 © Copyright 2006, 2011 by Barbara Rose, PhD All Rights Reserved. We grow in love and in relationships through our mistakes. We do not grow in isolation or in theory. This was an awesome night. Mick played along with Jason Bonham supremely well. These guys are totally down to earth, kind, genuine and a gift to us all who love rock & roll.